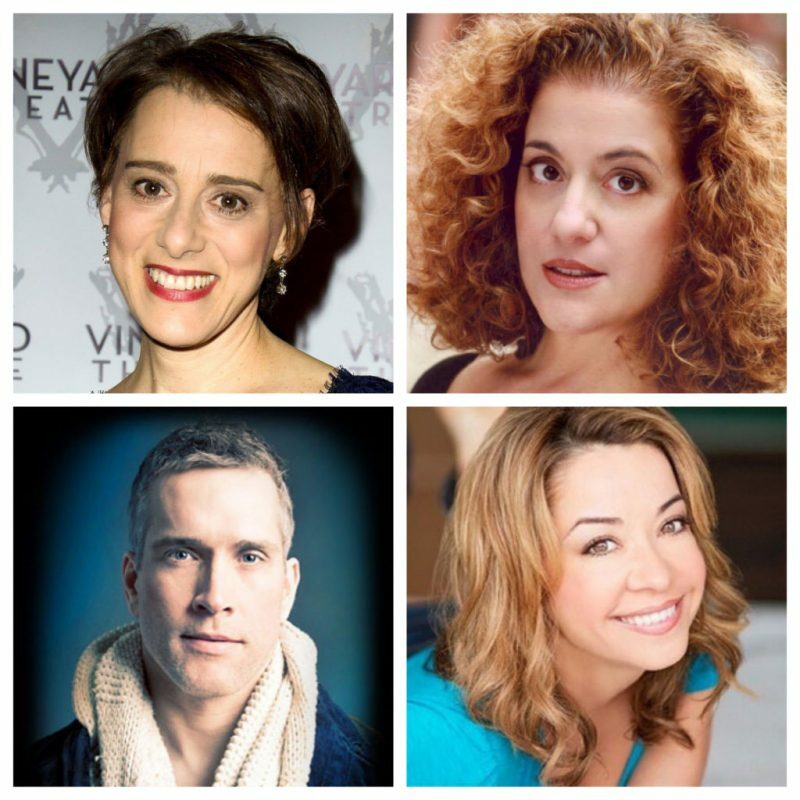 Judy Kuhn, Michelle Pawk, Mary Testa, Nancy Opel, Jennifer Simard, Mike McGowan, and Jennifer Cody are just a few of the actors who will be part of Cape Playhouse’s 92nd season in Dennis, Massachusetts. Kicking off the summer season June 12–23 will be Robert Harling’s Steel Magnolias. The cast will be led by four-time Tony nominee Judy Kuhn as M’Lynn, Tony nominee Mary Testa as Ouiser, and Olivier winner Lesli Margherita as Truvy with Jillian Louis as Annelle, Joy Franz as Clairee, and Laurie Veldheer as Shelby. Pamela Hunt directs. Sylvia, A.R. Gurney’s comedy about empty nesters who take a stray dog named Sylvia into their home, will feature Jennifer Cody as the titular canine, Tony winner Michele Pawk as Kate, Tony nominee John Dossett as Greg, and Stephen Derosa as Tony/Phyllis/Leslie. Sylvia, under the direction of Matt Lenz, runs June 26–July 7. Million Dollar Quartet will feature Sean McGibbon as Jerry Lee Lewis, Sky Seals as Johnny Cash, James Barry as Carl Perkins, and Ari Wilford as Elvis Presley. Directed by Hunter Foster, the limited engagement runs July 10–21. The Off-Broadway hit Altar Boyz, directed and choreographed by Jason Sparks, will be presented July 24–August 4. Comprising the Christian boy band will be Coby Getzug as Abraham, Austin Colby as Matthew, David Barnes as Mark, Anthony Fortino as Luke, and Ben Chavez as Juan. The classic Rodgers and Hammerstein musical South Pacific will follow, running August 7–18. Directed by Michael Rader with choreography by Joyce Chittick and musical direction by Garrett Taylor, the cast will be led by Mike McGowan as Emile, Becky Gulsvig as Nellie, Tim Rogan as Lt. Cable, Shea Renne as Liat, Michael Thomas Holmes as Luther Billis, and Yvonne Strumecki as Bloody Mary. The season will conclude August 21–September 1 with Clue: On Stage, prior to embarking on a national tour. Based on the 1985 Paramount movie adaptation of the classic Hasbro board game, Clue is adapted from Jonathan Lynn’s screenplay, with additional material by Hunter Foster, Sandy Rustin, and Eric Price. The murder mystery will star Tony nominee Nancy Opel as Mrs. Peacock, Tony nominee Jennifer Simard as Mrs. White, Tony winner Michael McGrath as Mustard, Lorenzo Pisoni as Wadsworth, Duane Boutté as Professor Plum, and David Beach. Foster directs with choreography by Jen Cody. Casting director for the 2018 season is Geoff Josselson, CSA.